At Walt Disney Studios Park, you can discover the secrets behind the most magical scenes of Disney film. From legendary moments in motion at Toon Studio to the mind-boggling effects of the Backlot. Explore the five production zones bursting with thrills drop you and your little stars smack bang in the limelight. 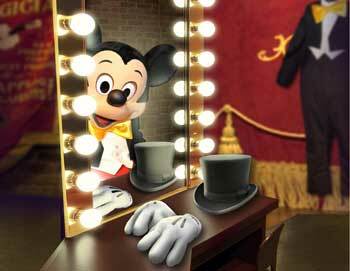 Your ticket gives access to both Park Disneyland Paris and Park Walt Disney Studios. If you want to visit Disneyland Paris, but want to avoid the long lines to the ticket office, then make sure to book from home. Once you get to Paris, go to our agent PARISCityVISION's office to exchange your e-tickets to your original tickets before visiting the parks. Your entrance tickets to Disneyland Paris and Walt Disney Studios Park are vaild for one full day, so you can come when the parks opens and leave when it closes again at night.